On Sale Now – A Great Gift for the Christmas Stocking! 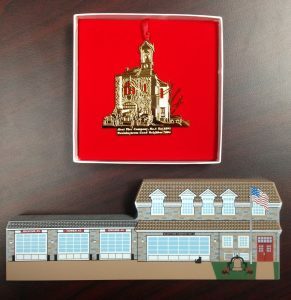 Our Collectors Edition Christmas Tree Ornament ($10.00) of our former Downing Ave. firehouse and the Cat’s Meow Village House ($18.00) of our current firehouse on W. Pennsylvania Ave. are on sale now at our firehouse, while supplies last. 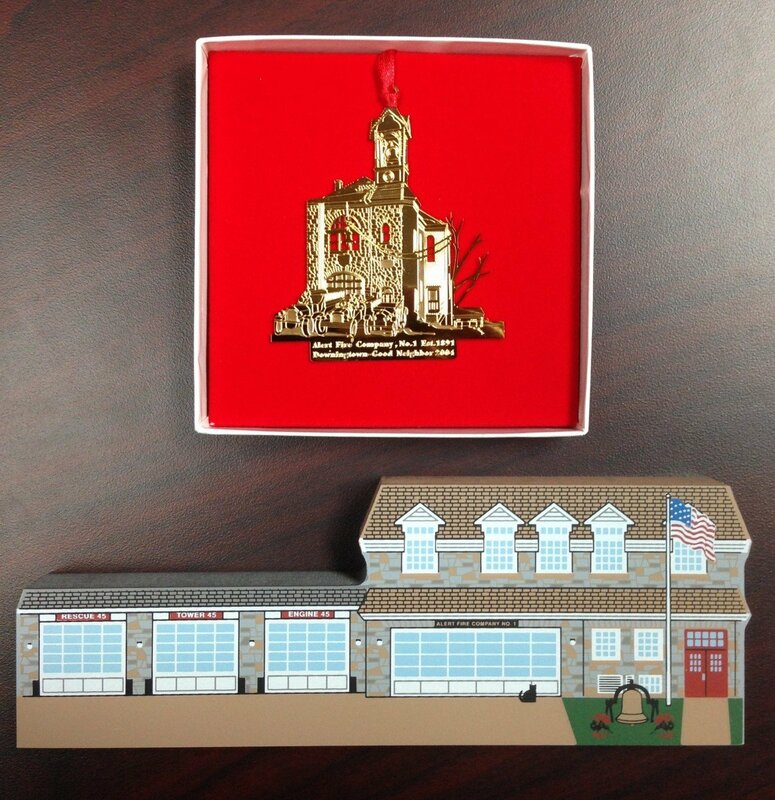 These two items make great Christmas Gifts and you can get a part of Downingtown history that you will have at your home, year-round! Please stop-by our firehouse on any Wednesday evening or anytime that you see cars in our lot to purchase these items. We are located at 122 W. Pennsylvania Ave., Downingtown, PA 19335.